Tremor is low frequency deep movement at the fault boundary. At the Earthquake Research Institute of the University of Tokyo, we are designing algorithms to better detect this phenomenom. This can eventually lead to better earthquake prediction. These tools were created for scientists to play with and for the public to gain a better understanding of the different properties of seismic events. 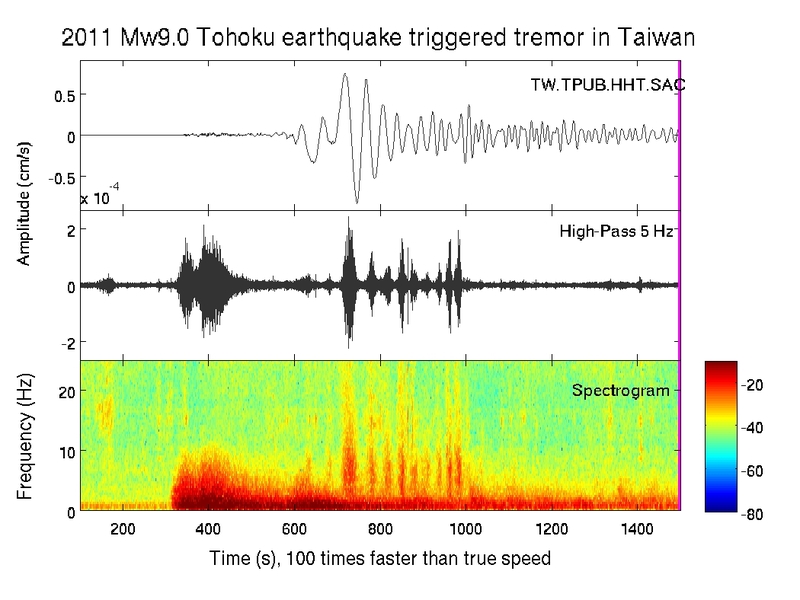 Triggered tremor found after the 2011 Tohoku Earthquake. Courtesy of Z. Peng, et. al.